After founding the organization in 2016, co-owners Paul Lauterbach and John Reed purchased a 2.3-acre lot in the Lake Geneva Business Park. Lauterbach and Reed boast strong backgrounds in Tennis instruction. Lauterbach has over 30 years of coaching experience and is the current head of the varsity boys’ and girls’ tennis program at Badger High School. Reed serves as the Tennis Director at Abbey Springs Resort and carries a passion for teaching the sport of tennis as a lifelong skill. 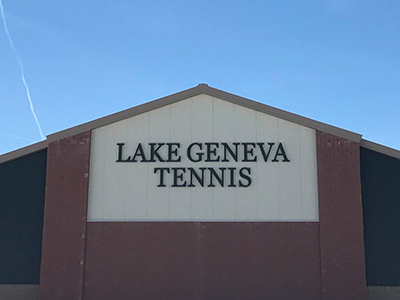 The 19,800 square foot site, owned by Lauterbach and Reed, is the location of the brand new Lake Geneva Tennis complex. Construction of the building project broke ground in 2016 and was finished a few months later. The complex was fully enclosed in mid-December 2016, and the project’s focus then shifted to the completion of the indoor elements. 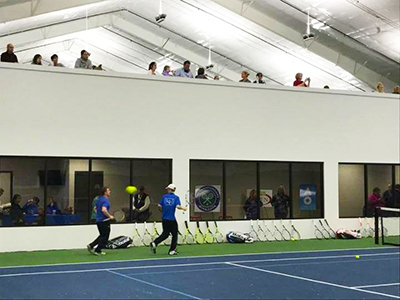 Lake Geneva Tennis now has an attractive, new complex built and officially open in 2017, which is very exciting.